Danielle, a former nursing student in our catchment, was awarded the nursing student prize at the recent Department of General Practice Awards Night. This prize is awarded to the student who is placed first overall in the Graduate Certificate or Diploma in Primary Care Nursing at The University of Melbourne. Danielle commenced her nursing career in the acute sector before moving to a practice nurse role seven years ago. Danielle enrolled in the Graduate Diploma in Primary Care Nursing in order to work towards her long term goal of becoming a Nurse Practitioner in General Practice. She completed the Graduate Diploma in Primary Care Nursing in November 2017, graduating with First Class Honours. 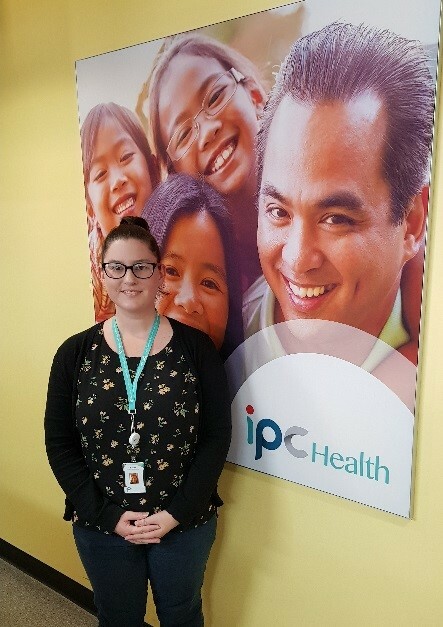 Danielle currently works at IPC Community Health in the Western Suburbs of Melbourne in their GP clinics. There she is able to utilise the advanced knowledge and skills gained from her studies to care for patients with complex and diverse needs, in collaboration with a multidisciplinary health care team. Danielle is a passionate advocate for Primary Care Nursing and is a leader and mentor to nursing colleagues. Danielle also enjoys being a preceptor to undergraduate nursing students in the primary care setting. She demonstrates to students that primary care nursing can be a wonderful and rewarding career path for those who choose to pursue it.